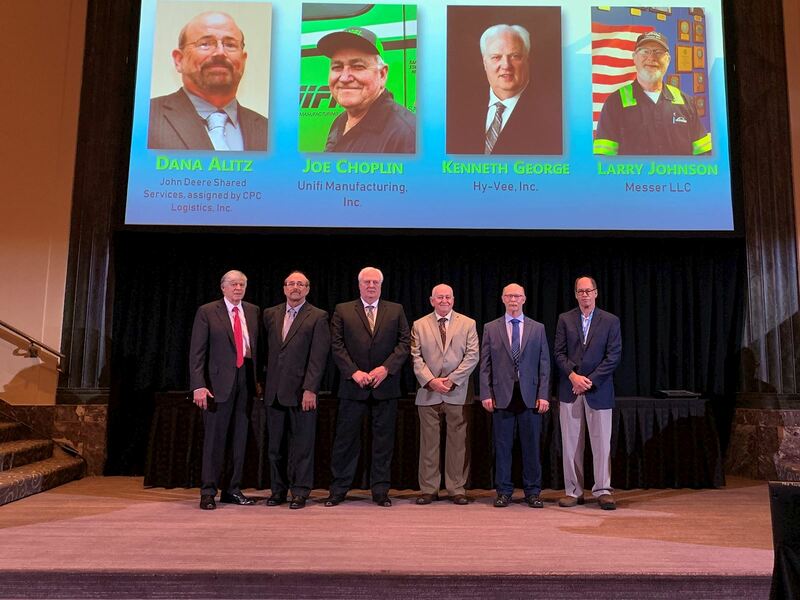 Kenneth George of Cherokee was one of four drivers inducted into the National Private Truck Council’s (NPTC) Driver Hall of Fame on April 15 during the organization’s 2019 Annual Education Management Conference and Exhibition at the Hilton Cincinnati Netherland Plaza in Cincinnati, Ohio. The Driver Hall of Fame and the event is designed to recognize top drivers for career safety performance. Hy-Vee, Inc. announced today that 52 Hy-Vee Pharmacy locations throughout Illinois, Iowa, Kansas, Minnesota, Missouri and Nebraska will participate in National Prescription Drug-Take Back Day on Saturday, April 27. Official rules for the Hy-Vee "HealthMarket Customer Experience Survey" sweepstakes. Enter for a chance to win a $100 Hy-Vee Market Grille gift card when you wind with us for lunch! Today, Hy-Vee provided details about its exclusive, three-year agreement with Kansas City Chiefs quarterback Patrick Mahomes, who helped lead the Chiefs to the AFC Championship game in January 2019. Mahomes is the first Chiefs player to be named the NFL’s MVP and was named to the 2019 Pro Bowl. In honor of National Diabetes Awareness Month, Hy-Vee, Inc. is providing free Hemoglobin A1C screenings throughout its eight-state region during the month of April. There's almost nothing that compares to sitting down to a great meal, especially when someone else has cooked! Take advantage of your monthly Meal Maker offer, brought to you by Hy-Vee and Coca-Cola. Happy April Fuel's Day! Earn 15¢ for every $25 spent on Meat, Seafood & Deli products. Join us for Market Grille Easter Brunch! Sunday, April 21 from 9 A.M. to 2 P.M.